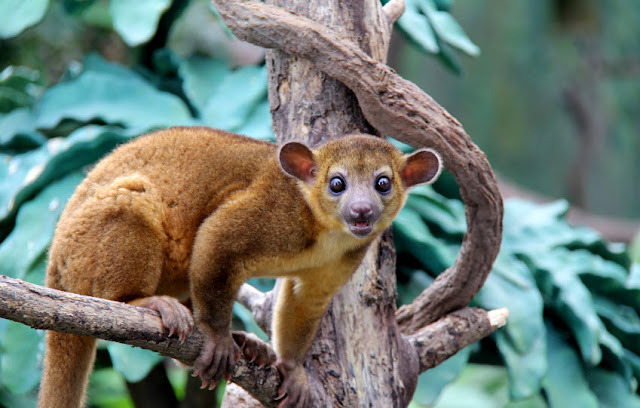 Animal You | Kinkajou | An adult kinkajou weighs 1.4 to 4.6 kg (3-10 lb). 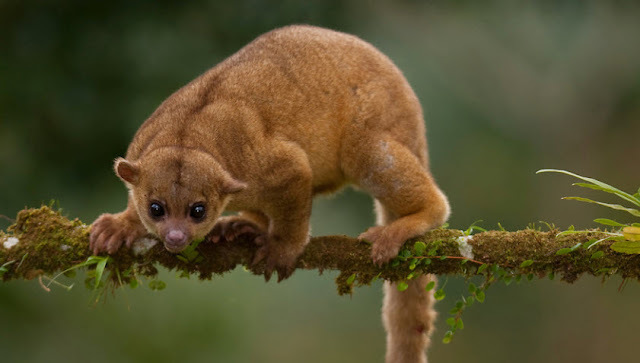 Besides the length of the body, tail length 40-60 cm (16-24 inches) For kinkajou woolly consists of an outer layer is gold (or brownish -gray) overlapping a gray undercoat. It has large eyes and small ears. Throughout Bolivia east of the Andes and the Atlantic forest of southeastern Brazil Their height range from sea level to 2500 m. They are found in tropical forest canopy closed, including lowland rainforest, mountain forests, dry forests, gallery forests and secondary forests found. 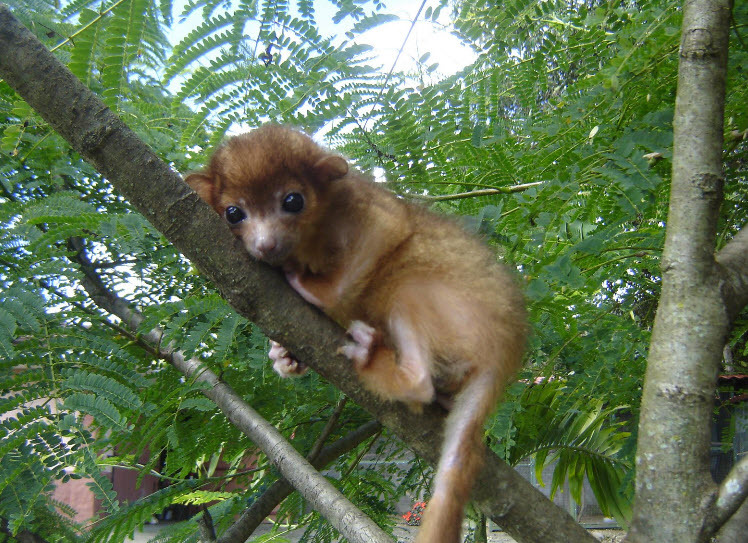 Although the kinkajou classified in the order Carnivora and has sharp teeth, the omnivorous diet consists mainly of fruits. Kinkajous particularly like figs. Sometimes eat insects, especially ants. It was suggested that without direct evidence may occasionally eat bird eggs and small vertebrates. Is (Nectar sometimes get from eating whole flowers.) Although eager captive specimens eat honey (hence the name "honey bear") no honey in the diet Kinkajous observed wild. 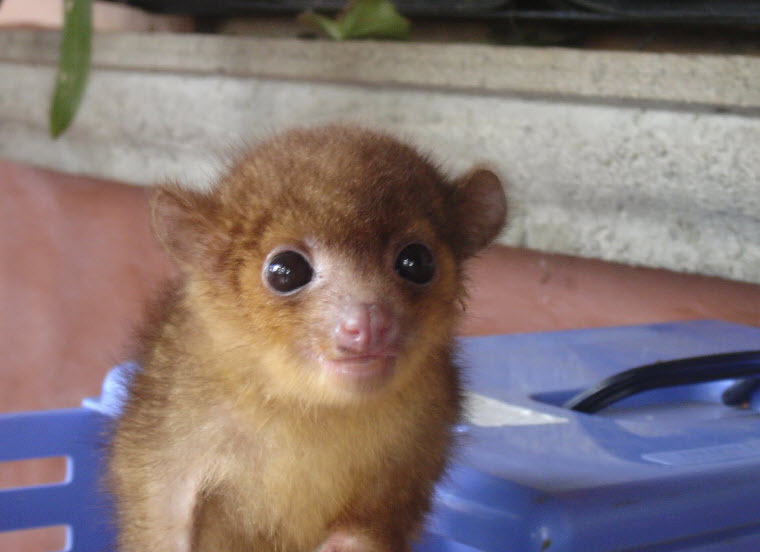 The kinkajou a short-haired, fully prehensile tail (like some New World monkeys), which uses a" kinkajous fifth hand "in climbing. Scent glands near the mouth , throat and stomach kinkajous you to mark their territory and their travel routes. kinkajous sleep in family units and groom one another.